ASE KOREA was established by ASE Group, a Taiwan's flagship semiconductor company, as it acquired the semiconductor division of Motorola Korea Ltd. located in Paju, Gyeonggi-do in July 1999. Motorola Korea Ltd., the predecessor of ASE KOREA, was founded as an overseas plant fully funded by Motorola in 1967. For the past 39 years, it has acted as a driving force behind Korea's economic growth and its increase of exports by introducing advanced management techniques and state-of-the-art semiconductor technology borrowed from western countries. Through ASE Group's M&A, ASE KOREA could gain momentum for a new take-off, introducing sales and management concepts into every business process to effectively meet a variety of customer requirements. 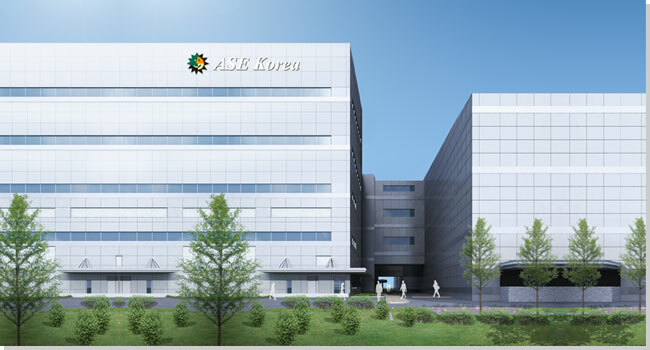 ASE KOREA provides turn-key solutions - assembly and testing of a range of customer-specific semiconductors such as automotive power ICs, medical and industrial sensors and amplifiers for wireless telecommunications - and continuously invests in the development of high value-added and next-generation products. ASE KOREA, which has a complete organizational structure including quality control, R&D, assembly and testing facilities, sales, and administration , promptly responds to ever-changing customer requirements. In an attempt to make the best use of resources, ASE KOREA has implemented a leading edge Enterprise Resource Planning system, which facilitates the entire order fulfillment process ranging from order-taking to production planning and delivery to be seamlessly integrated so as to maximize customer value. Ever since the M&A by the Taiwanese ASE Group, ASE KOREA has continued to improve and grow with the aid of top-of-the-line facilities, a research center, a pleasant work environment and a stable welfare system. An advanced technology and management system accumulated over many years as well as a sound corporate mission has made the company a sought-after workplace where employees, customers and the community can all thrive. In the midst of the ever-accelerating trend of "factory-free manufacturing" and "outsourcing," ASE KOREA is establishing itself as a number one business partner for high profile semiconductor and home appliance manufacturers around the world. Highly customized semiconductor packaging and testing service solutions, characterized by customer-centric values, accumulated advanced technology, flexible production, quality and price competitiveness and on-time delivery, have helped customers build a future of success. The company will press ahead with research and development of expert technologies, continuous investment in advanced equipment and solidifying our partnership with customers so that we can deliver innovative products and services and create a new model for the future of the international semiconductor market. - All divisions are within a single location to bring about a strategic synergy. meet possible changes in demand for products in a timely manner. as to produce optimal products with the greatest efficiency.